We welcomed Rod Pyle back to the program to discuss his new book, "Interplanetary Robots: True Stories of Space Exploration." 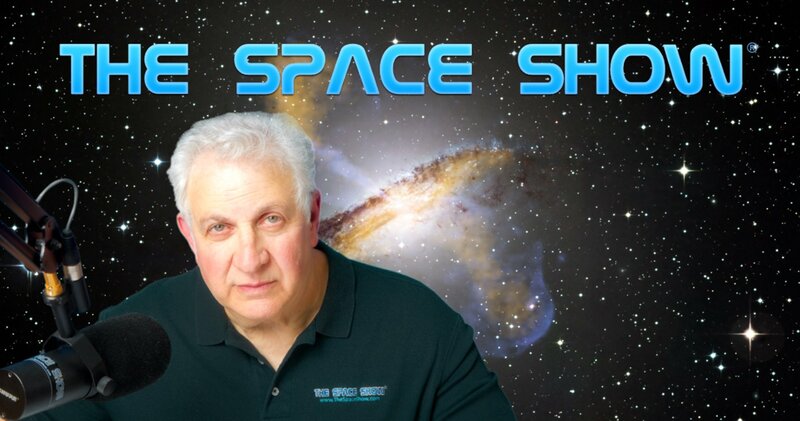 During our two segment 1 hour 40 minute discussion, Rod talked about his book, the time frame for missions to be included, plus we focused on Mars, the Moon, Saturn, Venus, and more. For example, early on I asked Rod for his favorite mission which was Viking 1 & 2. Listen to why he said Viking was his favorite. I then asked him for missions that did not work out. Here, he mentioned the Mars Polar Lander and some orbital missions, plus he talked about Soviet Mars missions that failed. In terms of successful missions, he mentioned the Soviet's Venus projects plus several others. In fact, he had an interesting Russian story to tell when it was suggested he was being too hard on the old Soviet Union for their failed Mars missions. I read an email from Jackson in Philadelphia asking Rod to justify the money spent on space given the increasing budget deficits, rising interest costs and the humanitarian needs facing the country and millions of Americans. Listen to how Rod responded to Jackson's question. Tell us what you think and what you might have said to Jackson by posting on the blog. Our only caller, Martin, knew Rod asked how he knew he had researched a topic enough to move on to another topic. Listen to how Rod responded. I then told how I dealt with that problem writing my DBA dissertation. If you were writing a book, how would you know you had done sufficient research on a topic to move on to the next topic? We would like to hear what you have to say so please post it on our blog for this show. In the second segment, Rod mentioned a Japanese satellite launch with new technology cubesats to produce a meteor shower upon demand. Don't miss what Rod said about this mission. Rod then again mentioned the Lunar Flashlight mission which is in the book. This was a cancelled mission to help detect lunar water ice. Too bad it never happened. Rod was also asked about the political loss of key politicians who supported missions such as Europa and its mission with a lander. He pointed us to a Dr. Jeff Foust Space News article on the subject. Many others have written on this subject as well so do a search and you can see what the impact might be on future space missions. Other topics discussed in the second segment included highlighting several unflown missions with a focus on both an American and Soviet mission to explode a nuclear bomb on the Moon to be able to study what would be thrown up in the plume. None of these missions happened. An additional topic was the next book by Rod with the current title (subject to change) Space 2.0. Note that I am one of those interviewed about the future of space. Rod is going to be back on the show March 5 to discuss this new book. One listener asked Rod about books that have the most appeal. He said books with pictures. Don't miss all of what he said on this topic. Before we ended, he was asked if the Applied Physics Lab missions were in the current book. He said no as they were not within the time frame of missions covered by the book. He then offered some comments about the JWST and HSP due to another listener question. Before we ended, Ben in Denver asked Rod if he could describe universal qualities and attributes a NASA mission PI had to have. Rod listed a few including having a high tolerance for politics, being able to control high powered and often over inflated egos, and to be willing to work for ten years and then have their project and work cancelled. Don't miss all of what Rod had to say in reply to this question. Before we signed off, he told us a Tory Bruno of ULA dynamite story from his childhood re launching hobby rockets plus one other famous person story. Please post your comments/questions on TSS blog for this show. You can reach Rod through me or his website, https://www.pylebooks.com. Rod returns to discuss his latest book, "Interplanetary Robots"